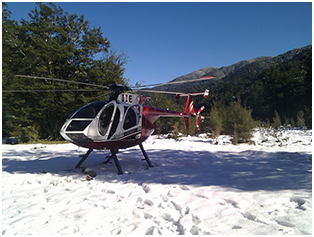 Amalgamated Helicopters New Zealand offers a wide range of helicopter services to the agriculture sector, forestry, government departments, local councils, police and fire services and the general public. Learn more about our scenic flight options, including our Lodge Transfers, Heli Tours, Joyrides, Special Events, Heli lunches/Dinners. Stop off at one of our many Private lodges, Vineyards or iconic backcountry pubs. For an easy to print map click here.